Michael Patt of Sebastopol e-mailed us the picture above and wrote "Welcome Back! An old reader of your magazine (California Hunter Magazine) is happy you're back! 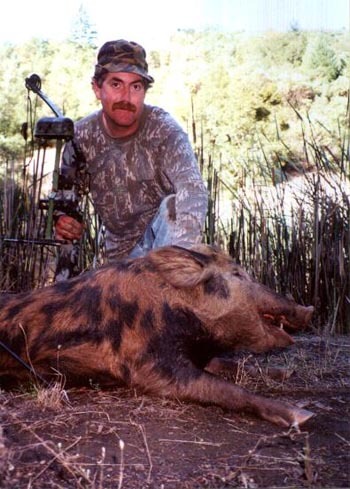 I've had some great success bowhunting hogs here in No. Calif. since I read your last issue. Here's a picture to share with others."